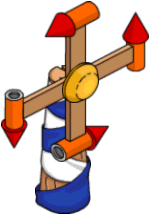 Should I Spend Donuts on the Returning 4th of July Content? 4th of July has arrived in Springfield! But, with that limited-time label it may be overwhelming trying to decide which items to buy and what to pass on. . But, have no fear! That’s where we come in to tell you what’s worth your donuts & what you might want to hold off on. Last week, with the arrival of I&S Act 3, a ton of 4th of July related items returned to our stores. Wondering if you should add these rockets red glare to your Springfield? 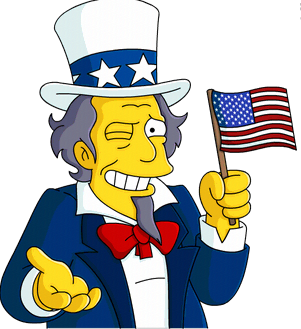 Well before you hit that confirm spend button, let’s break down the pros and cons of adding this American swag to your Springfield…. 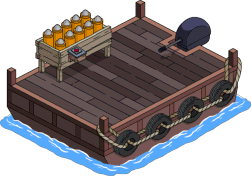 What Does It Do: Premium costume for Apu. My Opinion On It Now: For 30 donuts I think this is totally worth it! My Opinion On It Now: If you don’t already have him, this is a MUST BUY. 90 donuts for a premium character/building should always be an instant buy. What are you waiting for? Stop reading this and go buy him….I’ll wait. My Opinion On It Now: Not a bad pickup. 40 donuts for 2% is pretty standard, and it has a fairly small footprint. My Opinion On It Now: Bonus % isn’t great for donuts spent, but it’s still pretty cool. 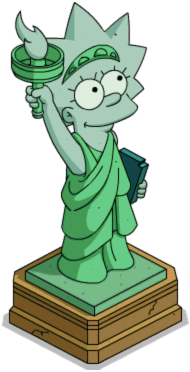 I always like having the fireworks in Springfield, one of my more favorite decorations. HOWEVER, you can get basically the same thing for free in the cash version, Patriotic Box of Fireworks. Same thing, just in-game cash and no bonus %. Animation is exactly the same. My Opinion On It Now: I own it, I like it. Never regretted the purchase. Bonus % is terrible for donuts spent, but it’s a fun one. Certainly not a must buy though. My Opinion On It Now: I own it, I like it. But the bonus % is terrible for donuts spent! Downright AWFUL. A little lackluster. This is one I’d pass on now if donuts were limited. Because they all cost in-game cash it’s never a bad idea to pick them up…whether you need them right now or not. This entry was posted in 4th of July 2018, Buildings, Decorations, Donuts, Should I Buy, Tips and Tricks, Updates and tagged 4th of July Items, bonus percent on fireworks, Should I Buy 4th of July Stuff, should I buy all american apu, should I buy fireworks barge, Should I Buy Fireworks box, should i buy fireworks pinwheel, should i buy lisa statue of liberty, Should I Buy Rex Banner, Tapped Out Tips and Tricks, The Simpsons Tapped Out, TSTO Addicts, TSTO Itchy and Scratchy Land Event, TSTO Itchy and Scratchy Land Update, TSTO Tips and Tricks. Bookmark the permalink. I will be getting the items for cash. Ok I tried and tried to find these in my inventory I can not find them any of them does anyone have any ideas. 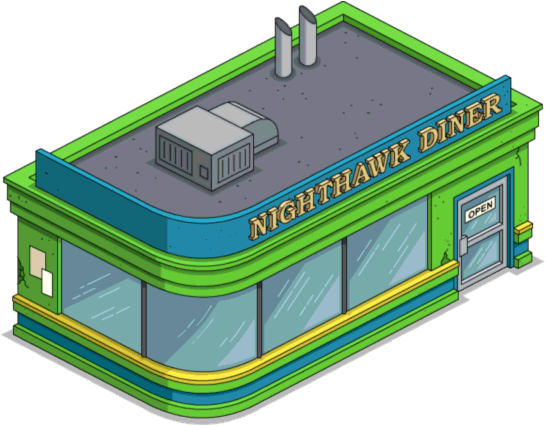 I want to get nighthawks diner and Rex you said a good buy. Now all I’m missing is Giuseppe! Grrrrr I need him to complete my collection! Now all I’m missing is Giuseppe!! Grrr, I need him to complete my collection! Anyone else having their game crash/shut down completely when trying to visit neighbor for daily task? Gone thru the usual steps including uninstall/reinstall. If I decline the visit neighbor task, will the alternate task earn event currency as well? I’ve had that several times in the past. Seems to start for me after adding a building/item to the town or after rearranging things a bit. You might putting some things in storage, taking some out, rearranging, etc. That seems to ‘fix’ it for me. Every task right now earns the same 1500 event currency. I always X away the visit neighbors task because it’s way more time consuming than just clearing my own town. If you let the task take you to “other springfield” (hit “do it”), finding 3 people to tap takes about 10 seconds…then return home. The whole task takes me about 30 seconds. It takes me a lot longer to find 30 folks in my own town, even hitting the “do it” button 30 times.